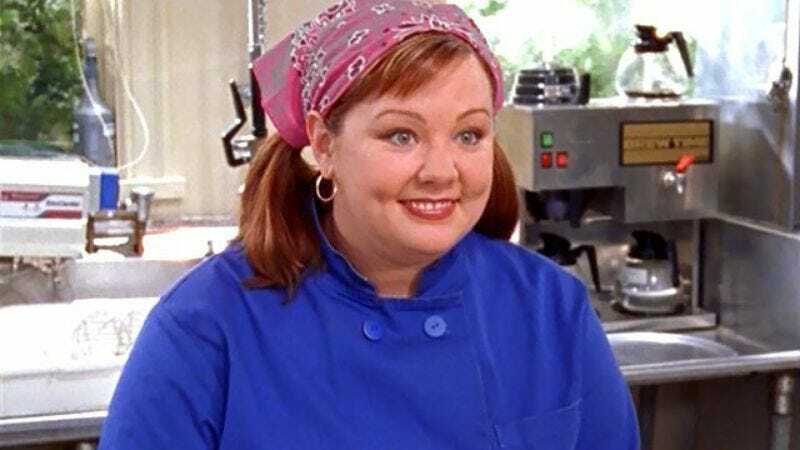 Gilmore Girls fans are so hyped for Netflix’s revival that they’ve begun listening exclusively to soothing acoustic guitar music where the only lyrics are “la la la la,” but apparently in all of that excitement everybody forgot about Melissa McCarthy’s Sookie St. James. This is especially surprising, not only because Sookie was one of the old show’s main characters, but because Melissa McCarthy is super famous now. Who could forget the star of the smash hit comedy film Tammy? Anyway, while Lauren Graham and Alexis Bledel are officially returning, Melissa McCarthy is one of the few beloved characters who apparently won’t be. TV Line says that series creator Amy Sherman-Palladino has put an open offer for her on the table, adding that she’ll write a scene for her or give her a cameo if McCarthy can spare an afternoon to stop by Stars Hollow. McCarthy herself, though, suggests that she has no knowledge of such an offer and tweeted today that “no one” has asked her to return to the show. This could be an instance of McCarthy simply not knowing about Sherman-Palladino’s comments, or maybe the offer itself was a lie and the Gilmore Girls crew has some kind of grudge against Melissa McCarthy. Is it because they saw Tammy? Cause she’s made way better movies than that, and we’re sorry for referencing it earlier.